What are Steve Jobs‘ favourite tech sites? Well, he has Engadget, Gizmodo, the New York Times tech section, and the Wall Street Journal bookmarked in Safari on his iPad, according to a source who saw him demo it. Our source was in one of the meetings with Steve when he visited Manhattan on his media tour with the iPad in February. Steve has other sites bookmarked, but these are the only ones that stuck in our source’s mind. We’re as surprised as you are that Silicon Alley Insider isn’t on the list. 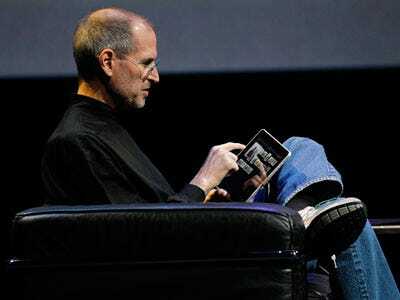 During the iPad unveiling, Steve visited NYT.com, Time Magazine, Fandango, and National Geographic.